As the LoRa®(Long Range) technology ecosystem accelerates, security remains an area for improvement in the market due to vulnerabilities that leave the network and application server keys accessible in the memory of modules and microcontrollers (MCUs) paired with a LoRaWAN™ stack. If keys are accessed in a LoRaWAN device, a hacker can impersonate it and authorise fraudulent transactions, which can result in a scalable attack with substantial losses in service revenue, recovery costs and brand equity. 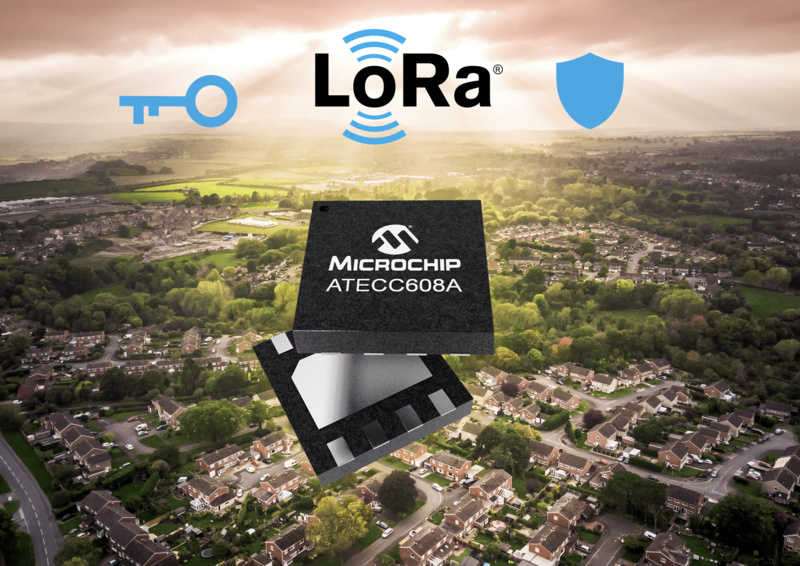 Microchip Technology Inc. in partnership with The Things Industries, today announced the industry’s first end-to-end security solution that adds secure, trusted and managed authentication to LoRaWAN devices at a global scale. The solution brings hardware-based security to the LoRa ecosystem, combining the MCU- and radio-agnostic ATECC608A-MAHTN-T CryptoAuthentication devicewith The Things Industries’ managed join servers and Microchip’s secure provisioning service.